An update on the development progress for In Vivo, in its second week of development after the Ludum Dare competition that inspired it. I have been busy for the past week. Unfortunately, the things I have been busy doing leave me very little to show for it. It's not that they aren't things that needed to be done, or even that they aren't things that have brought me significantly closer to playtesting with this game, it's just that they aren't things that I can make pictures of. I made good progress on my graphical assets last week, and I continued on in that vein this week to great effect. Unless I finish early and have time to add more decorations to the walls, the graphical assets are 100% complete. I switched to GIMP after I made the decision to go commercial, as my old student license of photoshop 7 wasn't going to cut it. This was the first time I had really messed with gimp, and while spriting is pretty much the same between the two, filters and some of the other more advanced features are not. I feel pretty comfortable with the tool now, so any graphics I decide to add after the fact will go much smoother. Not in-game, from the map editor. 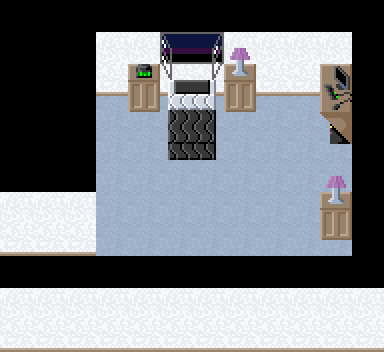 You get one guess as to who gets abducted out of that bed at the start of the game.I also spent a fair amount of time writing shaders. One of the big jumps between the LD version and the retail version is improved graphics, and that doesn't stop at higher res sprites. I posted a screenshot of the memory shader last week, but it didn't animate well, so I refined that and now it billows most spectacularly. I'm working on a way to showcase that here, either in an animated GIF or with a gameplay video, but as of right now you'll have to take my word on it. 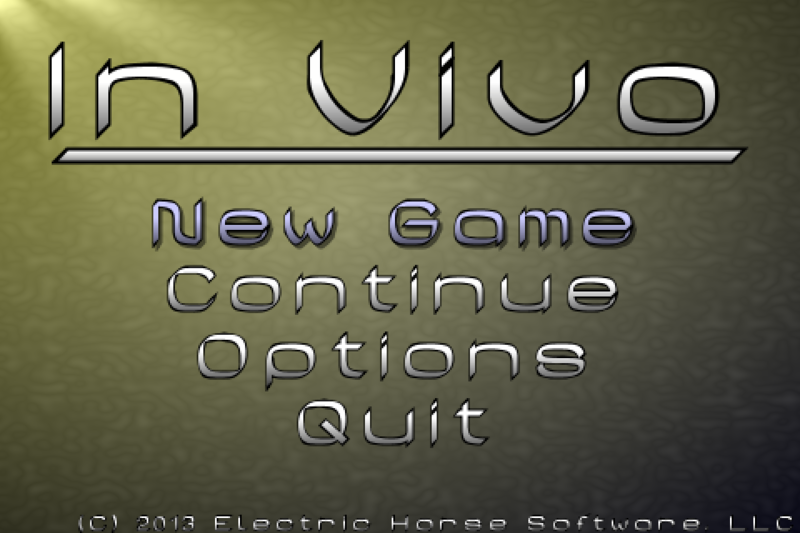 I also revamped the title screen completely. The one I posted on IndieDB was a quick mockup I had thrown together during the competition, and I was never very happy with it, and I didn't have time to put the menus in anyway so it got cut. The menu now is all shader driven; it's supposed to look like you are inside one of the big yellow vats looking out, with the light coming down and the variance within the liquid slowly animating. The animation is slow and subtle, so as not to be distracting.A also spent a fair amount of time working on engine code. 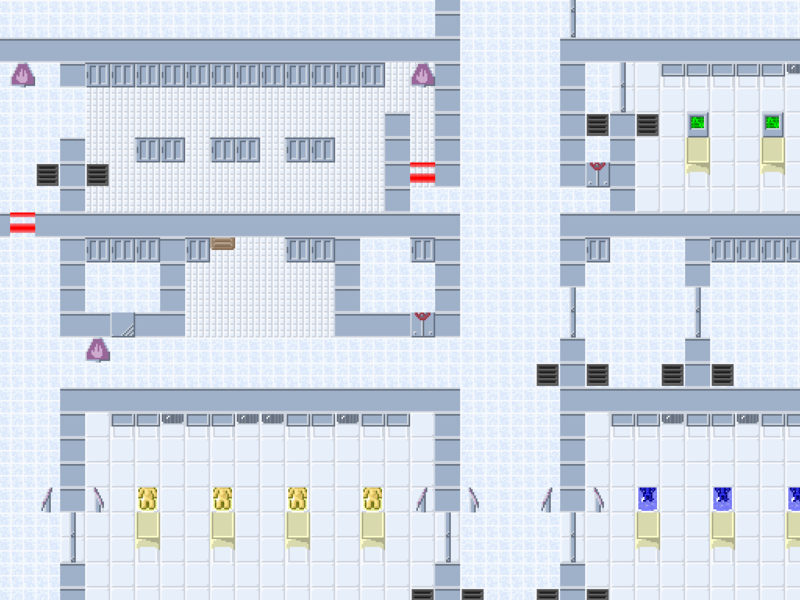 The map system is in overhaul at the moment, as the Tiled map editor can't really do what I need. I wrote a converter so I can use Tiled to lay out the floor and object layouts, but the items and other collectibles still have to be added in by hand. This is not ideal, so I'm trying to improve it more, but it's slow going. For now, I'm recreating the existing game level in the new format, so hopefully I can push out a playable demo within the next week with all of the new graphics and interface updates, but with the original level. The map editor doesn't look pretty, but it's much better than editing raw hex.The final big update I made during the week was to the input system. I wanted to add customizable controls to the LD entry, but ran out of time. I went back over that code and updated it to support up to two key bindings for each action, and I decided to add controller support. I had not messed with game controllers before, so that was a bit of a learning experience. I got it working, and in the end I was able to play through the entire original level with the controller and it felt pretty good. After doing so I actually think I like the controller better for this type of game, so I'm pleased with the decision. I also spent a little bit of time messing with music. I did not get around to writing any, but I did sit down and plan out how many I want to have, about how long they each need to be, and roughly what I want them to sound like. I also found a sound font for midi that doesn't sound half bad, and was released to the public domain back in 2002, and depending on time I may end up just using that to render the songs from midi. I know it leaves a lot to be desired, but I'll take that over raw midi or no sound at all. Rendered midi of the run music. That about sums up the week's progress over here. It's getting there, and I'm still feeling really good about making the time deadline. Once I get the map thing figured out I can start working on the final level design, and that's the last major piece of content left to be fleshed out.